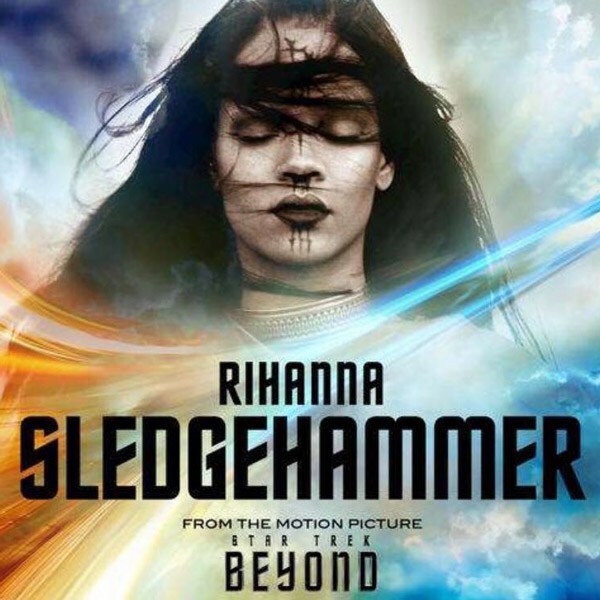 Its been reported that Rihanna has recorded a new song titled "Sledgehammer" for the Star Trek Beyond soundtrack. Does this girl ever rest?! She is the definition of hard work for sure! Rihanna has not confirmed these reports as of yet, however, ads were spotted on iTunes by fans. Since there has not been a release date either, it's safe to say that the song will at least come out before the movie does on July 22nd. Star Trek Beyond will star a nice line up of actors such as Idris Elba, Simon Pegg, Chris Pine to name a few. I'm sure Trekkies everywhere are excited about this one and so are the Rihanna fans. Are you ready for the new track?